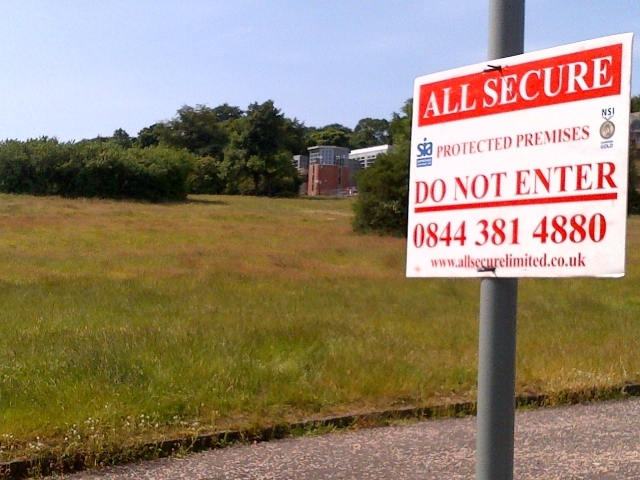 ← Whatever Happened to the Missing Mountgrange Millions? The Craighouse Partnerhsip have just failed to meet the deadline for their latest processing agreement with the Council. Since Nov last year they’ve failed to meet 4 deadlines to put in a complete and accurate application for the site and failed to honour 3 signed processing agreements with the Council to put in a new scheme for the site. People are fast losing faith about their ability to put in a competent application. In light of the months of no news and the obvious degradation of the site in recent months, the Friends called a meeting to discuss maintenance, the biodiversity designation issue and to talk about our forward plan. We hope to get you all involved and inspired as this develops. A very positive meeting was had with a packed turnout for the Friends. We want to thank all of you who came and for all your positive ideas. To keep everyone up to speed here is a run-down of recent events. A presentation was given by Nick Honhold of Bat Sightings at Craighouse Facebook page about the proposed dropping of the Local Biodiversity Site designation in the new Local Development Plan – without consultation. He is presently monitoring the bats on the site with a bat detector and has found they forage all over the site – particularly in the areas proposed for removal. He showed the map of the proposed change – it was quite shocking to see how closely it mirrors the development aspirations of the Craighouse Partnership. There is to be a meeting in Sept (no date as yet) where this issue is to be looked at by some of the officials. We will write to our members beforehand so you can write in then and try will keep you informed on that. Many were concerned about the state of the site and some were confused about whether there is still access. The answer to that is yes there is. William Gray Muir has been written to about the very confusing and off-putting signage on the site. He said he would look at it. We will continue to press on this issue. The best thing for the site is for it to be used by the public – so do keep using and enjoying the site. As many of you will have seen, water was left running for 9 days, despite our writing to William Gray Muir on this issue. We wrote to him on the 6th August – the water had already been running a few days. Having had no response at all – we started to release public information on the 12th. We are pleased to say the water then stopped suddenly on the 13th and William Gray Muir was seen on the site that day showing someone round. We believe this was due to the amount of pressure brought to bear by the Friends and those in the community writing to their Councillors. Mention should go to Councillor Gavin Corbett who wrote to the planning department about this issue. We do not know how much damage has been done by 9 days of water damage or what the state of the inside of the building is like but it is good news that we all managed to get it stopped. We would question how a Trustee of an organisation like Edinburgh World Heritage, that receives large public grants to maintain our World Heritage Site, could be part of a development consortium that would allow this to happen. The planning dept have assured Councillor Corbett that they will impress on the owner that the site must be maintained. To this end, we’re pleased to report that the grass was cut for the first time in months a few days ago. Whilst most people have really enjoyed the wildflower meadow this summer, in order to maintain even a flowering meadow the grass must be cut twice yearly. The Friends of Craighouse had taken a vote at the meeting to raise money for this, so it is clearly welcome news that the developers have felt it necessary to do this. At the meeting, one of the resolutions made was to do what we can to make sure the site does not deteriorate. The Friends will continue to keep an eye on the buildings and larger issues as much as we can and will continue to try and make sure the buildings are maintained. But, apart from this, we feel it is important to counteract some of the degrading of the grounds. So it was decided to raise some funds for several items. 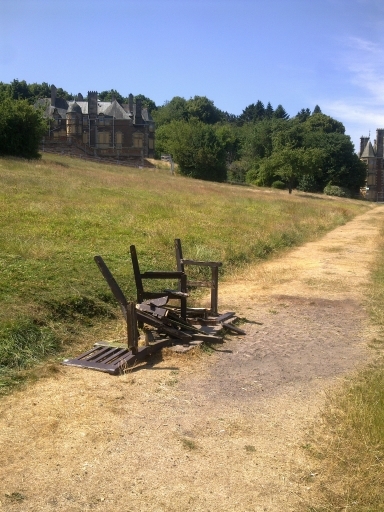 As you know, all the benches on the site have been either destroyed or removed and not replaced under the Craighouse Partnership’s ownership – including 4 benches destroyed or removed from the orchard/meadow area, leaving people with nowhere to sit and enjoy the amazing views. Many of these benches were donated by members of the local community. We decided to raise money for a new bench to enable everyone – and most importantly the elderly or those that need to take a rest when on the site – to sit and enjoy this fabulous site and those wonderful views. We have researched metal vandal-proof benches and got advice from the Council department in charge of public benches and estimate it should be in the region of £400-500 for the bench with installation fee on top. This allows us to get a bench that is tough, metal and hopefully indestructible. If anyone has any expertise on this or has information on benches or could offer advice on installation- get in touch. We have already received a donation of £50 through MSP Jim Eadie and £60 was raised by Friends’ member Tana Collins and we are putting both amounts towards this – so a big thank you to both of them. So we are looking to raise approx £390 for this. We will set up a Paypal account and an easy way of donating through the website. Graham Cameron (who has the relevant background) has been made accountant to oversee any funds and we will try and be specific about any amounts we are raising and what we fundraise for so that people can be confident that Rosy is not just going to disappear on holiday with it or something! The other items that were discussed in terms of fundraising were cutting the grass twice yearly and painting the entrance of the site which is presently causing residents a lot of distress. The grass has now been cut so this is less urgent, but may become an issue again – so we will continue to raise funds for the spring and we will investigate the entrance issue. Lastly, in our maintenance discussion we voted to hold an autumn litter-pick and one of the members kindly volunteered to organise this – we’ll let you know soon so you can keep the date for the diary. We hope to get the local community involved including kids with their parents and to make it fun in some way for everyone too. We know there have been a number of people who have been going into the site and clearing it with binbags etc. We would like to say thank you so much to them – it is a real public service they are doing and you know who you are! Thank you all. It makes all the difference. We are aware that we have all been through a difficult time and this may get worse in the short run. The Craighouse Partnership put in their application in Nov and here we are 9 months later with no sign of a decision. We understand that, as part of their processing agreement with the Council, the Craighouse Partnership can put in a Scheme Two. But presently the Craighouse Partnership have missed successive targets to put this in. They have now failed to meet their latest processing agreement agreed with the Council. The hearing date has been moved from Mar to June to Aug to Oct…and now who knows when – possibly towards the end of the year. People are losing faith in the Craighouse Partnership. As we know, the original application for the site was considered incomplete, factually inaccurate and, in some places, not competent by the Council. As we know, the financial case has never been properly released to the public. Trust in the Craighouse Partnership’s ability to put together a competent application is fast diminishing. It is now up to the community and ourselves to focus on a positive plan for the future and at the meeting the Friends discussed various possibilities for how we are going to take this forward. Many other community campaigns employ architects to draw up alternative plans. This can be popular with politicians, however – from the research we have done and advice we’ve listened to – it can also be expensive and time-consuming and can take away energy from important areas, whilst not necessarily bringing ultimate success for communities. The Friends have decided to pursue a slightly different path and we would like to engage you all in this. We are in the process of drawing up a series of Alternative Use business plans. Despite assurances from RCHAMS that this would not constitute a material planning consideration, The Craighouse Partnership made much of this in their subsequent application to try and justify excessive newbuild on the protected landscape. As such, we believe the site needs a new, reasonable and responsible owner. Residential is financial viable without newbuild, this is clear. (See article here.) However, we believe the best use of the site lies in mixed use – not pure residential. Mixed use has not been properly explored by the Craighouse Partnership as the aim for them has always been maximising newbuild residential from the outset. Mixed use would allow for less conversion costs, less cars and carparking and could maximise the profit made from the buildings that are easy and suitable for residential (such as the villas) whilst finding a suitable use with a strong public aspect or more public-friendly use for those that are more complex (such as New Craig). It could also potentially offer uses more compatible with continued public access to the grounds. We know there was a financially attractive wedding business in New Craig. The interiors are of high historic value and such mixed use proposals would potentially allow the public to get some benefit from these also – not just private wealthy individuals. Most importantly, it would save the green space and woodland from excessive newbuild. There was a lot of excitement about this at the meeting and many suggestions were discussed for New Craig in particular: conference centre, hotel, serviced units for the active retired (the model for these elsewhere do not require private gardens or more than one carparking space per resident), arts centre/offices for small businesses and arts organisations such as you find at the old Territorial Army Building used by Out of the Blue. There was also the suggestion of looking into using some of the buildings (such as Queen’s Craig) for extra primary school room – even on a temporary basis. The Craighouse Partnership own the site, yes. But their entire argument for enabling development depends on the idea that there is no alternative. This is nonsense. There are many alternatives – proven by the many other bids that were put in. But what we want to do now is show the alternatives. But this is not just about proving an argument. There is a real possibility here that such an idea could be progressed by the community working together either with the Council or with another more reasonable developer. And this is a really exciting thing to aim for. Imagine the site – as beautiful as it is at its best, without ugly newbuild, without the threat of removal of access, but instead offering something positive in the form of mixed use – an economic asset in fact that makes the most of all the aspects presently being ignored by the Craighouse Partnership: the fabulous setting, the views and the history. We’ll be letting you know soon how you can input and also setting up our bench fund. Until then, keep using and enjoying the site. 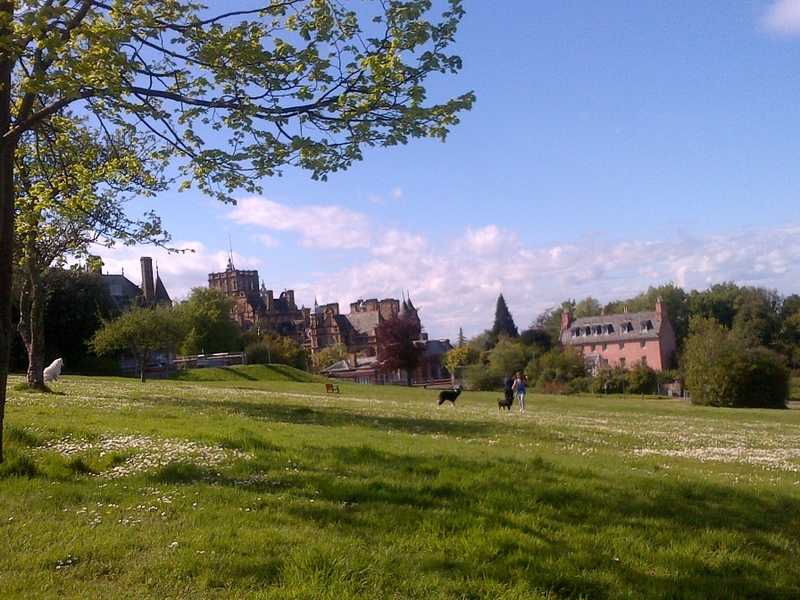 This entry was posted in community plan and tagged community, Craighouse, forward plan. Bookmark the permalink.